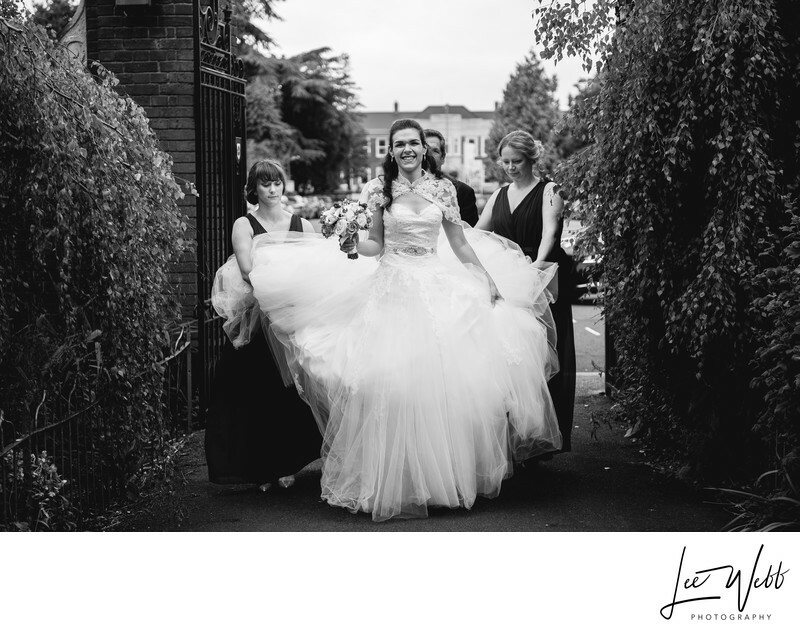 Beccy and Karl got married at St Georges Church in Worcester in July. If you've been through every photo in my portfolio in order, you'd have seen the story so far that's led us to this image. If you haven't, I'll add them in below! The main image in this article shows Beccy and Karl making their way back down the aisle at the end of their wedding ceremony. The church service was really moving - Both Karl and Beccy belong to a local singing group, and the other members of the group sang during the signing of the register and it was beautiful. It's almost a shame the singing of the register didn't take longer. The light in St Georges Church always amazes me, with two large windows, one at either end of the church, you get a really balanced and delicate light that really suits black and white photography. 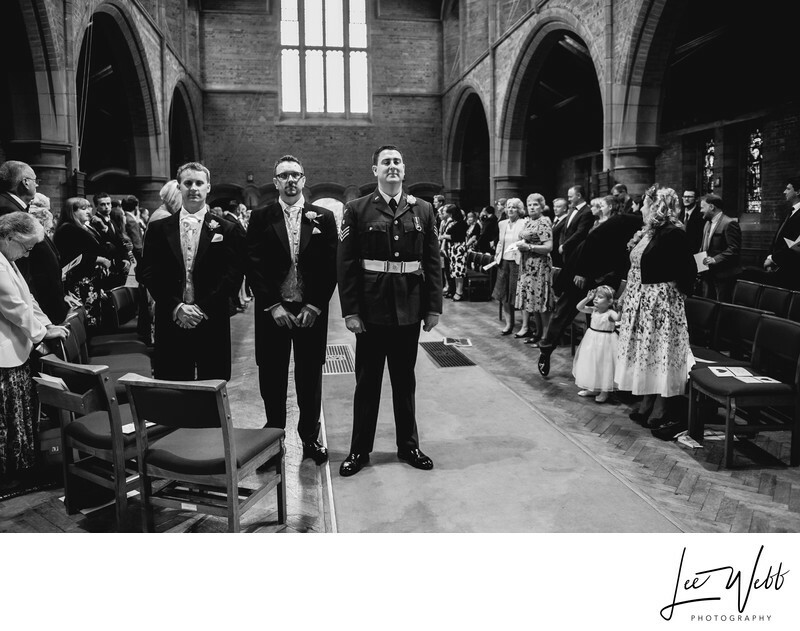 After this image was taken, the bride and groom received a big surprise upon leaving the church - the local Royal Air Force Air Cadet squadron (187 Sqn) had formed a guard of honour down the church path. 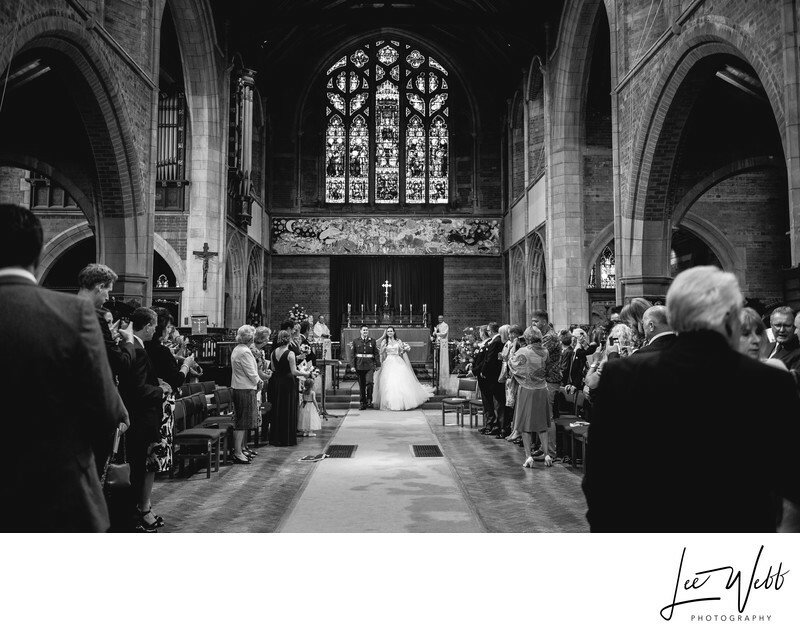 When we left the church, the wedding guests went to a drinks reception at the Guildhall whilst the wedding party travelled to Worcester cathedral for their official wedding photos. Location: Saint Georges Church, St Georges Square, Worcester WR1 1HX.